Anti-malarials are drugs that have been designed or found to be effective in combating the Plasmodium parasites that cause Malaria. Sometimes the medicines are used as a short term prophylaxis in order to prevent people travelling in malaria endemic regions from contracting malaria, other times they are used as a treatment to directly combat a serious or life threatening malarial infection. As a treatment Quinine was the first effective anti-malarial and was produced from the bark of the Cinchona tree which was originally found in Peruvian rain forests in the 17th century. It remained the anti-malarial drug of choice for Plasmodium Falciparum (Pf Malaria) until the 1940s, when other drugs began to be developed. Although Quinine is still in use for treating malaria, advancements in the development of synthetic drugs meant that a new generation of anti-malarial drugs could be developed specifically to treat Falciparum Malaria which is the cause of 90% of Malaria deaths. One of this new generation of anti-malarials was known as Chloroquine. Today Chloroquine is still widely used. It is is cheap to manufacture and cheap to buy. It is considered the best tested and safest of all available drugs. However, since 1957 Chloroquine’s effectiveness has been called into question after it was discovered that some Plasmodium falciparum (Pf) malaria parasites had developed resistance to it. Today, the emergence of drug resistant parasite strains is rapidly decreasing the effectiveness of Chloroquine, however, it is still one of the first line drugs of choice in many countries. Major problems with parasite resistance to Chloroquine have occured in Thailand, Myanmar, Cambodia and other parts of South East Asia. Now it is suggested that in resistant areas Chloroquine should be used in combination with other anti-malarial drugs to extend its effective usage. Chloroquine can still an effective treatment for Plasmodium Vivax (Pv) malaria, but the World Health Organization (WHO) no longer recognise it as an effective treatment for Pf malaria. Several sub Saharan countries have also reported high failure rates for Chloroquine when it is used to treat Pf malaria. Chloroquine is not the only anti-malarial whose effectiveness has reduced by parasite resistance; other drugs such as Sulfadoxine Pyrimethamine, Atovaquone and Larium (Mefloquine) are among other drugs that have also had their effectiveness undermined by Pf Malaria parasite resistance. The development of parasite resistance to anti-malarial medication reinforces the need not only for the development of new anti-malarial drugs; but also under scores the need to get the more effective drugs into poorer clinics who for lack of funding cannot afford the more expensive medications. Often drugs that have shown increased parasite resistance are the only ones available to these clinics and their certainty of treating Pf malaria is only hit or miss! . In recent times hope of a new line of anti-malarials has come from China. The Artesiminins are a group of anti-malarials that are derived from the plant Artemesia Annua and have been manufactured in China since 1970. The plant has been used as a Malaria treatment in Chinese medicine since 34-AD. One synthetic form of the drug that is currently on the market is Artesunate. Artesunate is widely available in Asia but is not used as widely as it could be as fake Artesunate tablets have been dumped into the markets of SE Asia by unscrupulous operators who are killing thousands by selling fake medicine. Some field workers will not use Artesunate unless they can confirm its authenticity. However, in the past few years some signs of Pf malaria parasite resistance to Artesunate, and Artemisinin Combinations Therapies (ACTs) have been observed particularly in the Thai /Cambodian border area, the resistance is not as high as other medicines such as Chloroquine but it is there and it is causing serious concern in the field. In light of this development the WHO are encouraging drug companies to fast track the development a new generation of antimalarials. The WHO recommends that artemisinin derived drugs such as Artesunate be used only in combination therapy. (Artemisinin Combination Therapy (ACT) is the simultaneous use of two or more anti malarial drugs that have independent modes of action in the way they target the malaria parasites.) In 2006 the WHO requested pharmaceutical companies to end the marketing and sale of “single-drug” artemisinin malaria medicines, in order to prevent malaria parasites from developing resistance to this drug. A WHO update on artemisinin resistance can be found here. Buzz Off supports the WHO’s stance on this issue. Our policy is to support the use treatment regimes that are recommended for use in the area by local health departments and are consistent with WHO recommendations. People travelling into Malaria endemic areas should seek medical advice as to the kind of anti-malarial medication they should take as some medications are more effective in some areas than others. Your local doctor should have access to information regarding what anti-malarials are effective in certain areas owing to parasite resistance issues; and what side effects certain anti-malarials are likely to have – this could be very important in pregnancy or in cases where patients are taking other prescribed medications. Dosage instructions should be followed meticulously. 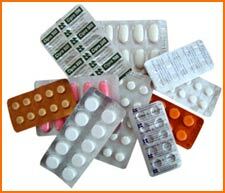 Most medicines require the patient to continue to take their doses up to two weeks after they have returned from their travels. This is important because if the person has been bitten by an infected mosquito just prior to their return from their travels malaria parasites may already be multiplying in the liver and the episode of malaria may be about to begin. Current research is also centring on the development of a malaria vaccine. In the past 12 months different Vaccines have been announced and initial trials look promising. Further trialling and development continues. This vaccine will be the first that has ever been developed for a parasite.